Aunie Sauce: My Big Fat Bearded Dragon. I've had her for 6 months. Yes. She's growing at a rate that would impress the Jolly Green Giant. Now's your chance!! Link up something exciting for those of us with no weekend plans who need to sit down for a little coffee break..
She was much less intimidating when she was small. You are making me want a dragon. Actually the first vlog of course convinced me, but now I really want one! Does Doby bite? Or are they known to bite/scratch? OMG!!! Ok that thing, errr girl, is getting HUGE! My daughter is creeped out by it but she loves the name. We are huge Harry Potter nerds!!!! That is so awesome. 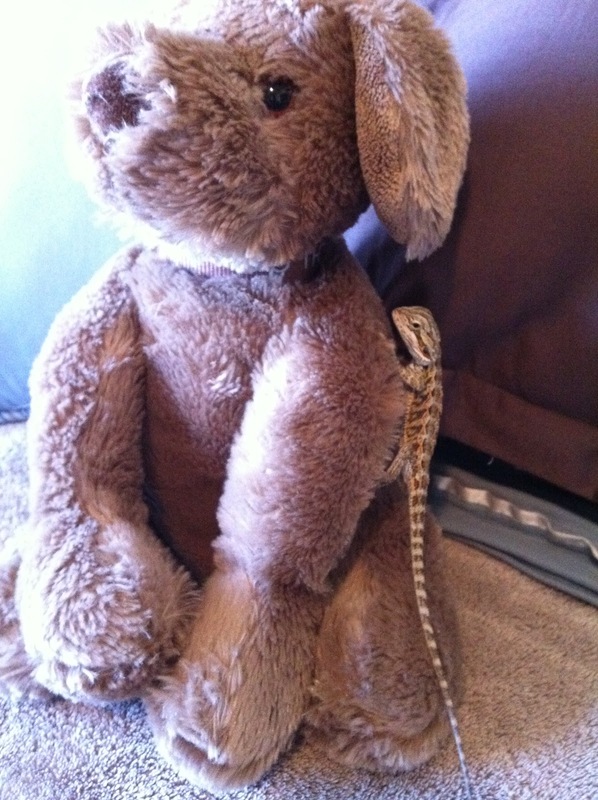 I love how you have taken her picture with the stuffed animal....too cute!! I love not only Dobby but the face that Dobby obviously still loves her teddy no matter how big she gets. Hard to believe how much Dobby has grown, wow! Funny that you took Her picture with a stuffed animal to show size change, I've seen people do that with babies. Happy Friday! Wow they grow fast!!! is she going to get bigger?! Wow!! Yeah... is she going to get bigger? She might need her own bedroom soon if she keeps growing. oh. em. geee... but how beautiful is she! what do you feed her? too cute! 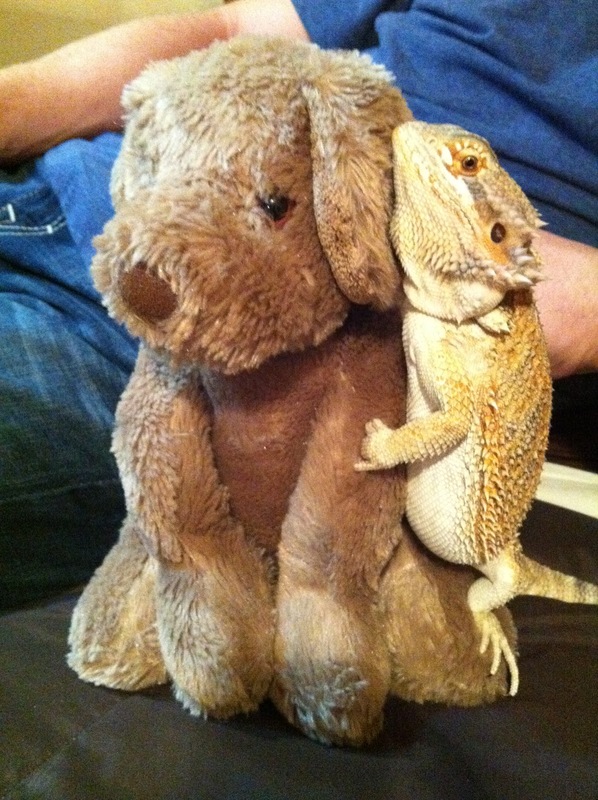 I used to have a lizard when I was younger :) named Lizzy though, not too creative. WOAH. In the beginning I was thinking "why is Dobby so small.. that dog makes *her* look so tiny" until I scrolled down and realized that was an older picture. WOW, she grew fast! She's so big now! Oh, my gosh! Too cute! I love that it's a perfect photo comparison, so we can see exactly how big she is now. is certainly likely being a fee for that services.